Improve a section of road on Four Mile Road at County Road 126 (Black Diamond Mine Road), just south of County Road 125 (Dry Park Road). 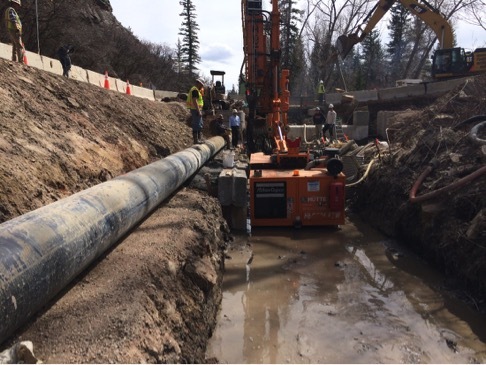 Construction impacted the Four Mile roadway, for the installation of vehicular bridge, the realignment of 4-mile creek that included a new diversion and retaining wall, 650 LF of 24” HDPE irrigation pipe, a rock formation next to the road that required blasting. Challenges on the project included the high volumes of traffic, spring runoff and value engineering conducted within the existing construction schedule. This project was completed two months early.